With Mark Hamill's commitments to Lucasfilm's "Star Wars" franchise seemingly over, the self-identified "unemployed actor" might be showing up in Marvel Studios' "Guardians of the Galaxy Vol. 3. 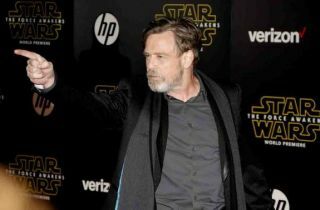 On Sunday, a fan asked writer/director James Gunn to give Hamill a role in the next Guardians film, and both Hamill and Gunn seemed to take it seriously enough to begin making plans for a meeting. No release date for "Guardians of the Galaxy Vol. 3" has been set, however Gunn had previously said to look for it roughly three years after 2017's Vol. 2, referring to 2020.